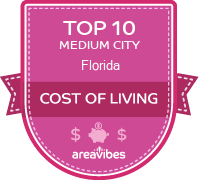 How Do You Rate The Livability In New Port Richey? I love the fun and carefree life in the city of New Port Richey, Florida. This city is surrounded by water. It is a pretty good sized city with the basic amenities of a bigger city. The people who live in the city of New Port Richey, Florida are always very friendly. There is a big presence of the elderly crowd here in the city. They are in the stage of life where they are enjoying life. This is a vacation spot, but also a place to reside where a fun lifestyle can be lived. With the wonderful location of the city of New Port Richey, Florida I love that the shopping and amenities are great. The community lights up at night and there is a lot of fun to have here. Many parks are available for family time. This city is a great place to enjoy yourself. Restaurants are local and a great place to catch up with the community. Source: The New Port Richey, FL data and statistics displayed above are derived from the 2016 United States Census Bureau American Community Survey (ACS).